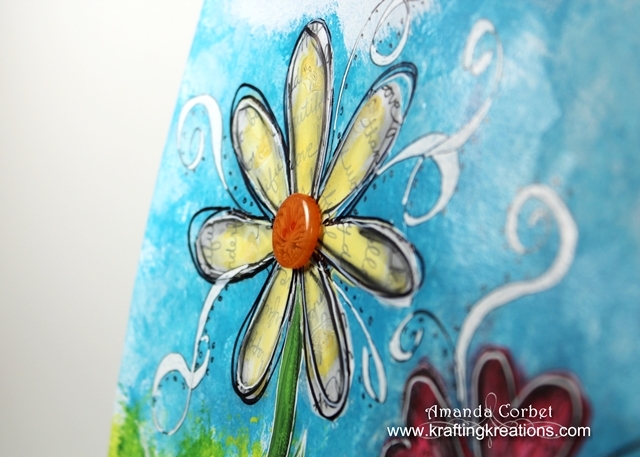 I took the time to play with some paint last week and painted along with Tracy in her re-run of the Mixed Media Monday from February 25th. I have no idea what paints I used. Tracy goes FAST! If it weren't for the pause button on my tablet I would never have been able to keep up! 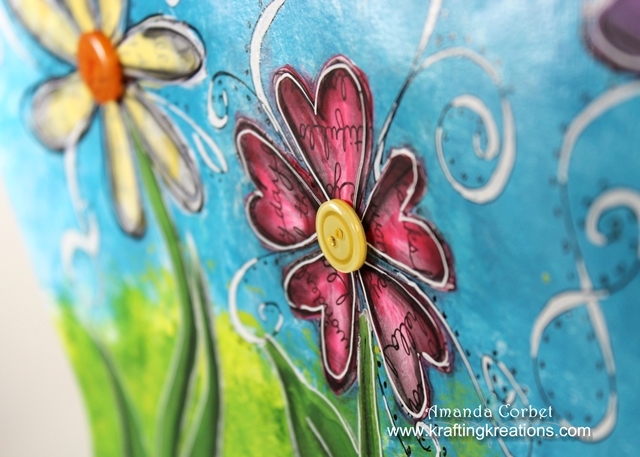 The paint is all acrylic and mostly DecoArt brand. 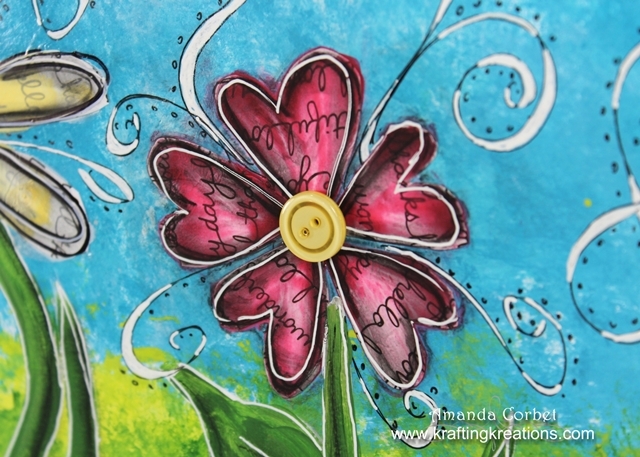 I used a fine point sharpie to add the doodling and a Signo Gel Pen for the white in the doodles. The buttons are retired from Stampin' Up. I also used a black pastel pencil to add the shadows. Oh and the background was all done with a wadded up paper towel by dabbing it into the paint and dabbing it all over the canvas. Note to self ~ When dabbing paint onto anything..... wear gloves or your hands will be completely covered in paint. Messy painter here! 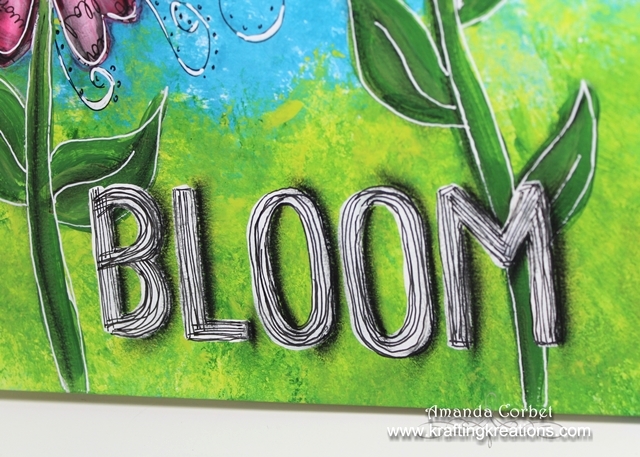 The word "Bloom" was free handed with a flat brush and white paint. 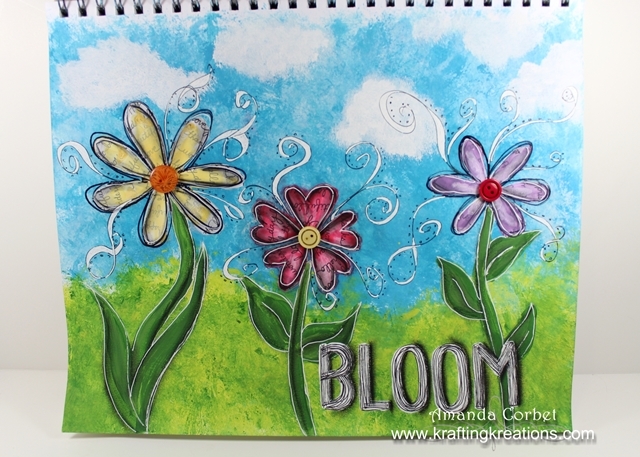 Then doodled over with a fine point sharpie and shadow added with the pastel pencil. I had such a great time! Not to mention I really love this page!